Copper Canyon Press, 9781556592959, 93pp. 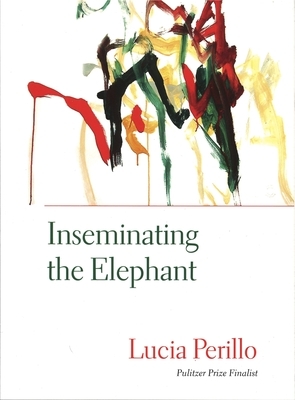 A 2009 Pulitzer Prize finalist, Inseminating the Elephant delivers hard-edged yet vulnerable poems that reconcile the comic impulse with the complications and tragedies of living in the eating and breathing body--what Lucia Perillo calls the "meat cage." Perillo dissects human failings and sexuality, as well as collisions between nature and the manufactured world, to create an unforgettable poetic vision. gives way to a zeroing-in of skin as vulnerable as an orchid. to avoid the two false openings of her "vestibule,"
calling it forth as described in the Tibetan Book. Lucia Perillo graduated from McGill University in Montreal and worked for the US Fish and Wildlife Service. She completed her MA in English at Syracuse University, and has published five books of poetry. She was a MacArthur Fellow in 2000 and finalist for the Pulitzer Prize in 2009. She lives in Olympia, Washington. Lucia Perillo: Lucia Perillo graduated from McGill University in Montreal in 1979 with a major in wildlife management, and subsequently worked for the US Fish and Wildlife Service. She completed her MA in English at Syracuse University, and has published five books of poetry. She was a MacArthur Fellow in 2000 and finalist for the Pulitzer Prize in 2009. She lives in Olympia, Washington.